17	A remix of Savoy's "Man In The Park" is released to Norwegian radio stations. 21	"Summer Moved On" is released to radio stations in much of Europe . 25	The Norwegian "Spellemannsprisen" take place at Oslo's Spektrum. a-ha perform "Summer Moved On" (play-back); Savoy are awarded "Best Pop Group" and are nominated for "Best Song Of The Year" with "Star" and Timbersound's "Hermetic" is nominated in the "Open Class" category. The awards are	broadcast live on "NRK1". After the Spellemannsprisen, Pål and Magne go to Hamburg, Germany to work on their new album. Morten leaves for Hamburg on 28 February. 1	"Summer Moved On" video is sent to "MTV Europe" and "VIVA", Germany. 3? "Summer Moved On" enters the Norwegian "Hit 40" at number 28. 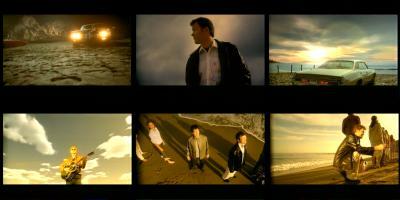 3-6	a-ha are in Cadiz, Andalucia, Spain for four days to film the video for "Summer Moved On". 4	An interview with Morten backstage at "Spellemannsprisen" is broadcast on the Norwegian TV show "God Kveld Norge" (TV2). 16	a-ha hold an international Press Conference in Paris. 17	Clips from the Paris Press Conference, a quote from Magne plus a video clip of "Take On Me" are shown on the German TV show "Leute Heute" (ZDF). Norwegian news on TV2 shows clips from a-ha's Press Conference in Paris. 20	a-ha go to Berlin for a promo tour of Germany where they do TV and Radio interviews. a-ha are also on Norwegian radio. 21	a-ha are in Hamburg. A clip of a-ha is broadcast on "TMF Hamburg". 22	a-ha are in Munich. 23	a-ha go to Dusseldorf? 24	a-ha are in Dusseldorf. a-ha have a practice session with a string section from Hamburg. a-ha go to Duisburg? 25	a-ha perform "Summer Moved On" on the German TV show "Wetten Dass" (ZDF) in Duisburg. The show is broadcast in Germany, Austria and Switzerland. a-ha also do some press interviews including "Top Of The Pops", "Bravo", "WOM Journal", "MS Sounds" and "Stereo Play". 26	Paul is interviewed on the phone on "Radio Donna" in Belgium. 27	"Summer Moved On" is released to record stores in Europe (excluding UK and France). Anneli Drecker releases her album "Tundra" which features Lauren Savoy on the track "Trinitron". 28	"Summer Moved On" is released in France. 30	a-ha go to France for a couple of days for radio and press interviews. 1	a-ha are interviewed on the Norwegian TV show "God Kveld Norge" (TV2). The Dutch TV show "Countdown Hitfiles" broadcasts an old performance of "The Sun Always Shines On TV" from "Countdown" plus the video for "Summer Moved On". 2	a-ha are in Budapest, Hungary. 4-5	a-ha go to Vienna in Austria where they are interviewed by journalists from Slovakia, Czech and Austria amongst others. 6	An interview with a-ha plus some video clips are broadcast on the German TV show "Absolut Life". 7	a-ha perform "Summer Moved On" on the German charity show "Stars 2000". 8	An interview with a-ha plus a performance of "Summer Moved On" is broadcast on the German TV show "Top Of The Pops" (RTL). a-ha introduce their new video which premiers on the Austrian TV show "Austria Top 40" (ORF1). 9	A two hour a-ha special is broadcast on "TMF" in Holland. It includes two interviews, one from 1986 and a new one from around the time of the Press Conference in Paris plus videos and old performances. There is a short report on a-ha in the "Cult" section of "Euronews". 10? a-ha do some promotion in Spain which includes interviews for the radio show "Cadena Ser: Los 40 Principales" (broadcast 11 April on "Lomas 40"). The "Headlines & Deadlines" DVD is released in Australia (TBC). 11	Promotion in Spain continues with performances of "Summer Moved On" for the TV Shows "Musica Si" (TVE) (broadcast 15 April) and "Crónicas Marcianas" late night show (Tele 5). 12	Radio "P3" in Denmark has a special on a-ha on the show "Popshop", this includes an interview with Morten plus the tracks "Summer Moved On", "Minor Earth Major Sky" and "Velvet" from the new album. 13	a-ha's performance of "Summer Moved On" plus an interview clip from Berlin is broadcast on the German TV show "Die Grosse Show Der Sieger" (ZDF). a-ha perform "Summer Moved On" and Morten is interviewed on the Swiss TV show "Benissimo" (broadcast 13 May?). 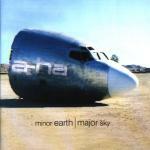 14	a-ha's album "Minor Earth, Major Sky" is released in Norway. 15	The Norwegian TV show "Lørdagsrevyen" (NRK1) shows footage of a-ha returning to Norway. 16	a-ha are interviewed on the Brazilian TV show "Fantástico". 17	"Minor Earth, Major Sky" is released in much of Europe. The website www.a-ha.com is launched on the internet. 18	The German TV show "Leute Heute (ZDF) broadcasts interview clips and "Little Black Heart" on piano. 19	A report on a-ha is broadcast on the German TV channel "VIVA" (repeats 20/4?). 20	The dutch TV show "TMF Extra" (TMF) broadcasts an interview with a-ha from 16 March (date TBC). 21	a-ha are interviewed on radio "SWR3", Germany. 22	a-ha'a performance of "Summer Moved On" (playback) at number 8 is broadcast on German "Top Of The Pops" (RTL). a-ha are interviewed on German radio "Bayern 3" (br 23?). 25? a-ha are interviewed on the French show M6 music (ch 182) (or 2 May?). 26	a-ha appear on the TV show "Top Pop Galle" in Austria. 27	a-ha are in Denmark? a-ha are interviewed on Le JDM (MCM), France. 28	"TMF" Belgium broadcasts an a-ha showcase. 29	a-ha are in The Lottery Show "Binglotto" in Gothenburg, Sweden. 30	Interview and video clips are broadcast on German "Bravo TV" (RTL II) as part of a "History" of a-ha show. An interview with a-ha, the making of "Summer Moved On" video plus a clip of "Holy Ground" is broadcast on the German TV show "Blitz" (Sat.1). The Brazilian TV show "Fantástico" broadcasts interview clips in Paris. 2	An interview with Magne and Pål from 27 April is broadcast on the Norwegian TV show "Etter Skoletid" (NRK1). 6	a-ha perform "Summer Moved On" on "CD:UK" (ITV). 8	a-ha are on the UK TV show "The Big Breakfast" (Channel 4). 10	a-ha are interviewed by Lorraine Kelly and perform "Summer Moved On" on "GMTV" (ITV). 11	a-ha are interviewed on "Open House with Gloria Hunniford" (Channel 5)on UK TV. An interview with a-ha is broadcast on "The Phone Zone" (UK Play). 12	a-ha perform "Summer Moved On" on "Weekend Watchdog" (BBC1). a-ha are on "Shoowbiz Weekly" (SKY1). 14	a-ha are on "Exclusive" (Channel 5). 20	Youth Aid concert, Finland. "Stars In Their Eyes" (final). 21	a-ha are interviewed on the UK TV show "Exclusive!" (Channel 5). 22	The single "Summer Moved On" is releasd in the UK. a-ha perform "Summer Moved On" on the Austrian TV show "Top Spot". 23	a-ha perform "Summer Moved On" on "Top Spot 2000" (ORF1) in Austria. 2	a-ha are interviewed on UK TV "MTV News Weekend Edition" (MTV). 4	An interview with a-ha and a performance of "Summer Moved On" from 25 May is broadcast on Dutch TV "TMF Showcase" (TMF). 6-9	a-ha are in Spain. 8	An half an hour documentary on a-ha "Tilbake Til Fremtiden" is broadcast on Norwegian TV (TV2). 12	An interview with Morten and Pål is broadcast on "Talk Music" (VH-1). 13	An interview with a-ha and the video for "Summer Moved On" is broadcast on the German show "Bytesize" (MTV). 15? An interview with a-ha and the video for "Summer Moved On" is broadcast on German TV "Select" (MTV). 16	a-ha go to Italy and perform "Summer Move On" for the Italian TV show "Super". 19 - 7 July The Norwegian film "Øyenstikkere", which features music by Magne, is filmed near Stockholm in Sweden. 27	a-ha's performance of "Summer Moved On" was broadcast on the Italian TV show "Festival Bar". 10	The single "Minor Earth Major Sky" is released in Norway and Germany. 17	a-ha perform "Minor Earth, Major Sky" at the "Eroffnungs Gala Stars 2000" on German TV. 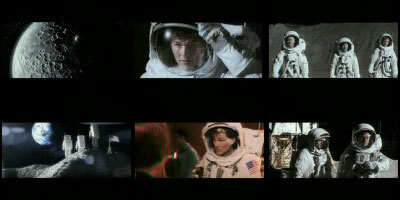 20	a-ha are interviewed and some video clips are shown on the UK show "World Beat - Inside Track" (CNN). 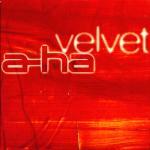 14 The single "Velvet" is released to radio stations in Europe. 21 "The Sun Never Shone That Day" is released to Norwegian radio stations. 29 a-ha receive an award and perform "Summer Moved On" at the German "Comet" award show (ZDF). 14 The video for "Velvet" and a short interview with Magne and Kjetil is broadcast on the Norwegian TV show "Lørdagsrevyen" (NRK1). 1 A report on the making of the video for "Velvet" is broadcast on the German TV show "World Of Bits" (VIVA). 5 a-ha perform "Velvet" on the German TV show "Millionar Gesucht" (RTL). 6 "Velvet" is released to German record stores. A report on the making of the video for "Velvet" is broadcast on "Planet Viva - Just A Little Bit" on German TV (VIVA). 13 Koseinenkin Hall, Tokyo, Japan. 14 Intl. Forum, Tokyo, Japan. 18 a-ha perform "Velvet" on German "Top Of The Pops" (RTL). 24 Sporthalle, Hamburg, Germany. A report from the Hamburg show and interview is broadcast on Norwegian TV show "Absolutt Underholdning" (TV2). 25 A report on the Hamburg show and interview is broadcast on Norwegian TV "Magasinet" (TV2). Magne is interviewed on the Norwegian TV show "God Kveld Norge" (TV2) about his valentine stamps. Velodrom, Berlin, Germany.